You may not have heard of the developer Crows Crows Crows before, but that's alright, because before their release of Eat: The Revolution I too had no idea who they were. Apparently, this development company is headed by The Stanley Parable co-creator William Pugh. If you have ever played through The Stanley Parable, you should be quite familiar with the high-concept game design of William Pugh. Eat: The Revolution is no different in this regard as it offers something very distinctive when compared to the average game on the Play Store. 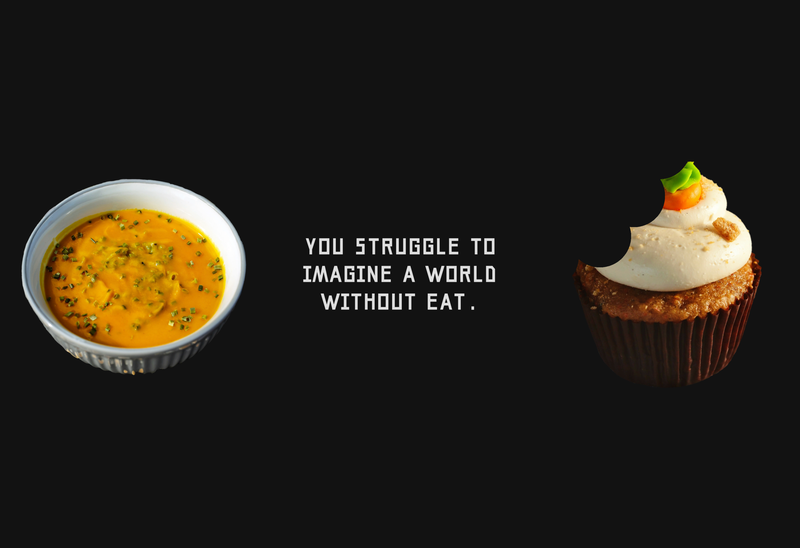 You will notice once you boot up Eat: The Revolution that it presents itself as a simple tapping game. This is the only control method used. Just tap on the screen to eat the piece of food presented to you, then repeat. In between each piece of food you will have to read a small phrase that sometimes alludes to the evil Uncle Hunger. But it is up to you to figure out why you must defeat Uncle Hunger and end his reign over the means of production. Of course, you will notice soon enough that things take a turn for the worse when you start receiving some questionable food items. But in order to defeat Uncle Hunger, you must continue eating. At least that is how it appears. Luckily Crows Crows Crows have left some breadcrumbs of a backstory on their own website, which alludes to breaking up the "hierarchical power structure" of capitalism by giving the people Eat. So take of that what you will. Undoubtedly Eat: The Revolution is a bizarre game that does not give any explicit instruction on how to play it. Much of the drip fed text in this title serves up an odd Marxist political agenda that makes very little sense, and yet the game is joy because of it. 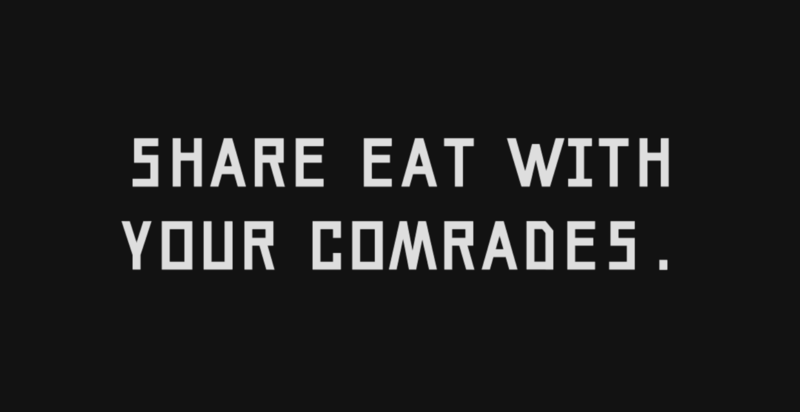 If you want to try something entirely different that doesn't hold your hand or explain itself in any way, something that is more an experience than it is a game, then I highly recommend checking out Eat: The Revolution. And really, there is no reason not to give it a look, as Crows Crows Crows have ever so kindly put it up on the Play Store as a completely free download.